Unidoor 39-inch to 40-inch x 72-inch Frameless Hinged Pivot Shower Door in Chrome with Handle is rated 5.0 out of 5 by 2. Rated 5 out of 5 by Jason from Very sturdy and includes the glass shelves. The door... Very sturdy and includes the glass shelves. The door was very easy to install but includes instructions for every variant this door can come in so make sure you figure them out before you start. This door also requires double studs where the hinges mount to the wall because of the weight! Rated 5 out of 5 by NewnanGA from This product and installation instructions were 100% acceptable. Must read instructions carefull... This product and installation instructions were 100% acceptable. Must read instructions carefully and perhaps more than once. Product was delivered timely and in great condition to local Home Depot store for pickup. 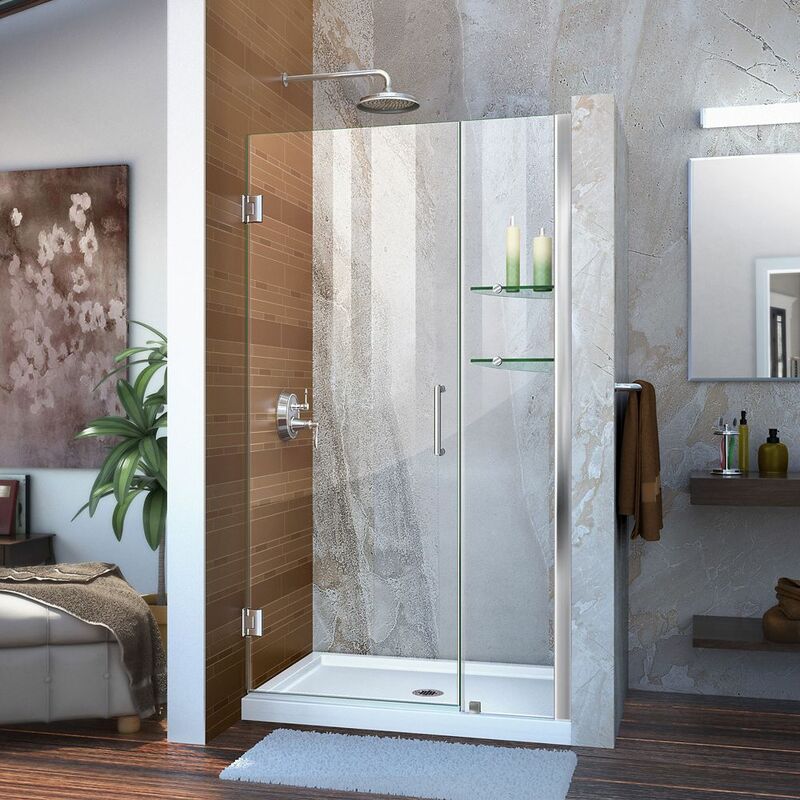 The door looks great adding a more elegant look/feel to master shower.